Rainy day sketchcrawl at Magnuson Park. I couldn't find any of the other sketchers after arriving a little late so drove around until I found this cute little garbage shack. 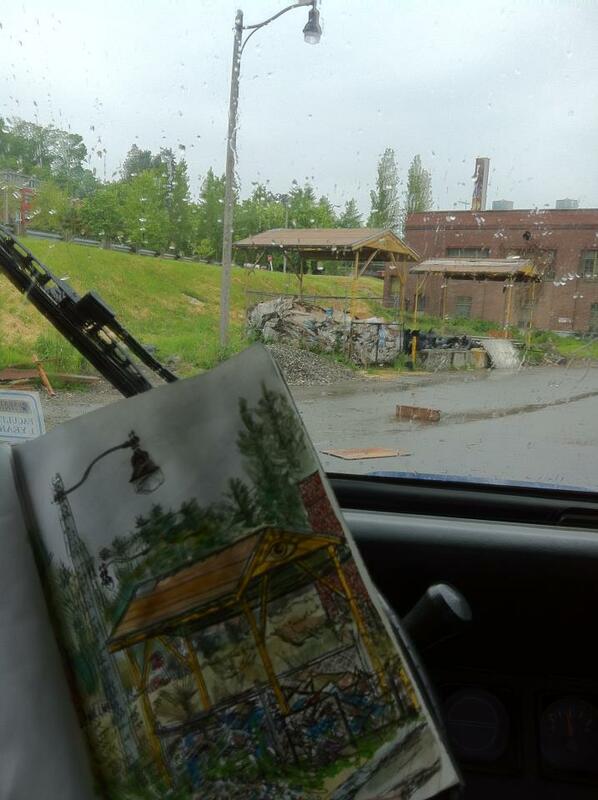 Quiet morning sketching in the car in the rain. 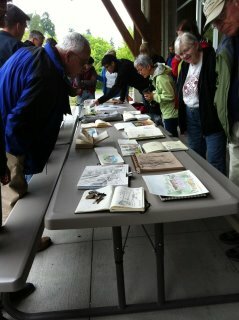 Everyone eventually emerged from their hideouts with wonderful sketches! Nice sketch, Jackie. I didn't see you there. Wanted to ask you if you did Beat the Bridge. That's the reason I was late. Crazy traffic. Thanks Jane. No I didn't do Beat the Bridge this year. I usually do but skipped it this time. I was late too and didn't see a soul until I was about to leave and just happened across the group!